Today is a day of festivity, of celebration, of color and of magic. Hired Hands Homecare is truly honored to work so closely with many, many members of the Latino Community, who make such a critically significant and important impact on the lives of the families we work with. While most of us honor and observe this day as a light and festive holiday, we recognize the immense importance of this day to the nation, history and culture of all Latinos. 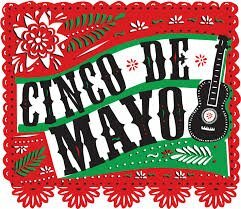 In the name of familia, of history and of independence, and honor… a happy Cinco de Mayo to all!